Spain Sacks Catalonia Government, Assumes Control - Joe.My.God. Madrid has taken direct control of Catalonia for the first time in nearly four decades, firing the regional government and dismissing the head of the local police force, after the Catalan parliament made a unilateral declaration of independence. Carles Puigdemont and his cabinet were formally removed from their posts, and their powers and responsibilities taken over by central government in notices posted to the official state bulletin on Saturday morning. The orders provided an outline for a takeover approved by the Spanish senate on Friday, but Mariano Rajoy, Spain’s prime minister, now faces the challenge of implementing them. The Catalan government has not yet responded, but the president, his allies and supporters are widely expected to defy the orders to leave their posts. A 10-day general strike has already been called by one of Catalonia’s biggest unions in support of the new republic of Catalonia, starting on Monday. Some of the region’s 200,000 civil servants have already said they will not accept orders from Madrid. Sacked Catalan leader Carles Puigdemont has called on Catalans to peacefully oppose Spain’s formal takeover of the region’s affairs. 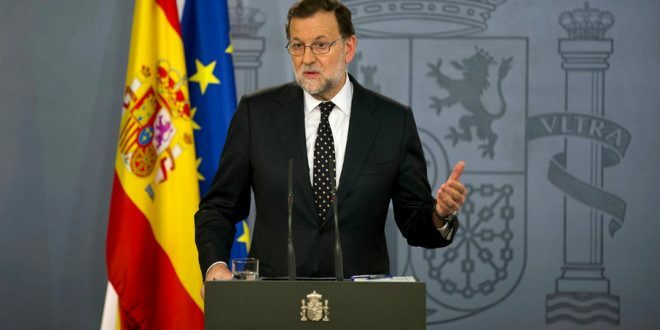 In a televised address on Saturday, the separatist leader said Madrid’s decision to suspend the autonomy of the province and appoint the Spanish Deputy Prime Minister as its provisionary head goes against the will of the people. Although Mr Puigdemont and the 12 members of the Catalan Cabinet will now no longer be paid and could be charged with usurping others’ functions if they refuse to obey Madrid, there was no immediate sign that they were willing to comply.